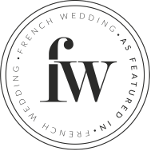 French Wedding Style started in 2011 and has since grown to become a leading wedding blog and THE leading online resource for planing weddings in France. Our readership represents a perfect target audience for brands wanting to target stylish ladies who enjoy travel, appreciate glamour and vintage inspired style, and have an adventurous spirit. Our Media Pack is full of stats and the details of our specific packages but here are some commonly asked questions about our advertising. What are the advertising options on French Wedding Style? All of our advertisers are approved to meet our strict criteria to be able to offer our readers the best. We have a number of packages including banner advertising, social media campaigns, dedicated newsletters and native/ dedicated posts. In addition we also have opportunities to become listed as a vendor in the French Wedding Directory. Do you only sell off the shelve packages? With over 14 years marketing experience, Editor Laura is happy to work with selected premium advertisers on bespoke campaigns that reflect their marketing needs, and offering something unique to our readers. Are campaign creatives static once a campaign is booked? If you would like to receive a copy of the pack, please complete the form below. We will use the information that you provide, to contact you with details of our promotional opportunities on French Wedding Style. We will also send you updates on offers and discounts that occur in the future.